Mitch Peacock and John Sauder from CBC News at Six. 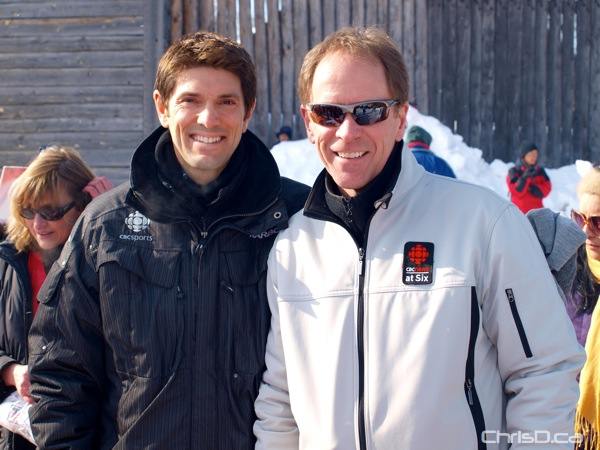 The gang from CBC News at Six held a meet and greet Monday afternoon at the Festival du Voyageur. 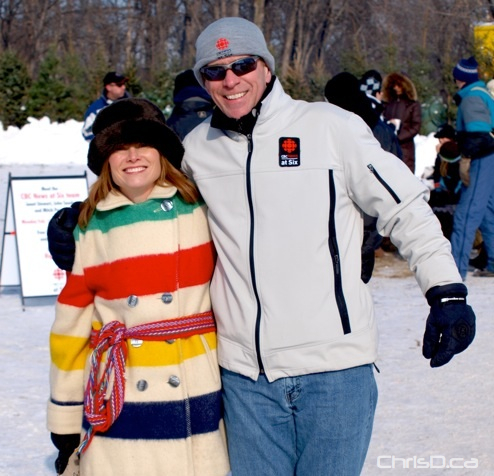 Winnipeggers got the chance to enter their name into a CBC prize draw and meet host Janet Stewart, meteorologist John Sauder and sports reporter Mitch Peacock. All three were very friendly and even posed for some photos. 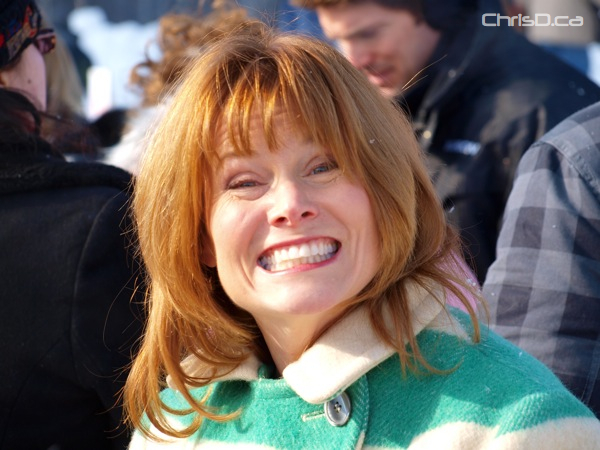 Janet Stewart’s smile is HUGE! She could easily be the new face of Crest or Colgate. ← Shaneen Robinson Goes For a Ride!